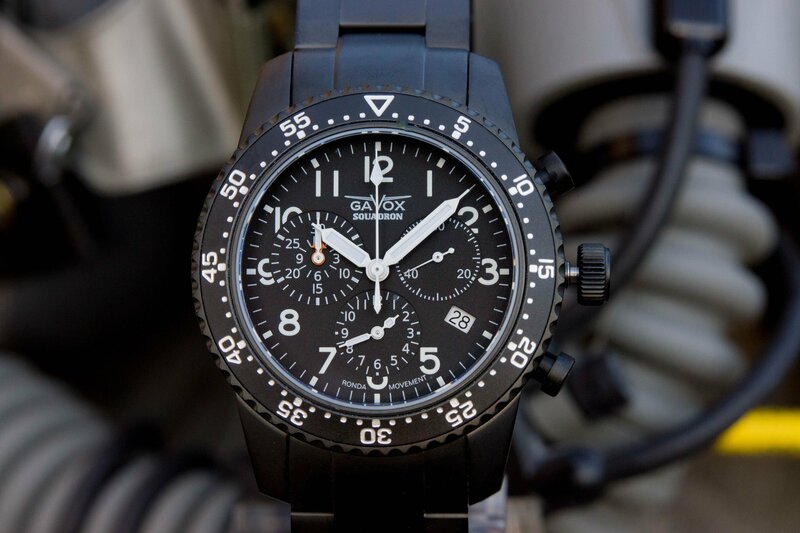 The Gavox Squadron collection takes its inspiration in early 50’s aviation instruments. Using here the latest quartz movement with high quality materials. 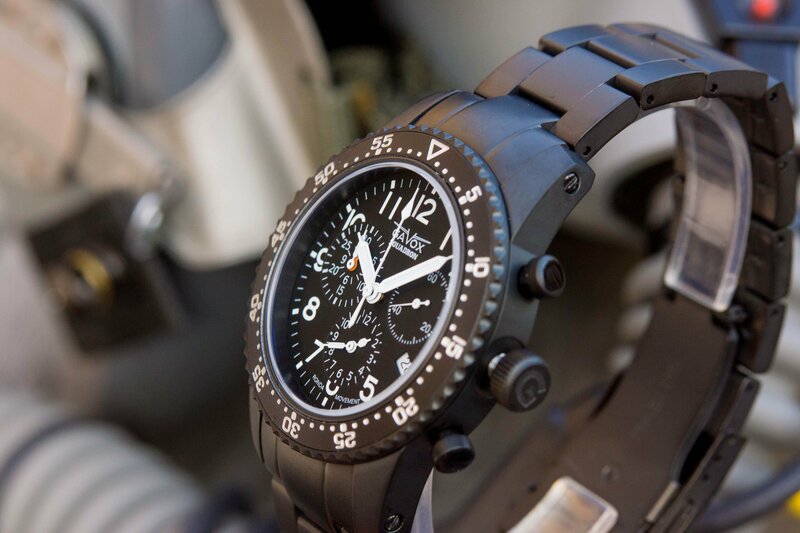 Designed and made for belgian air force pilots this civil version is limited to 500 limited unit. Made to support every type of straps from Nylon , Rubber, Leather, all Squadrons are equipped with Metal Band with a deployment clasp. 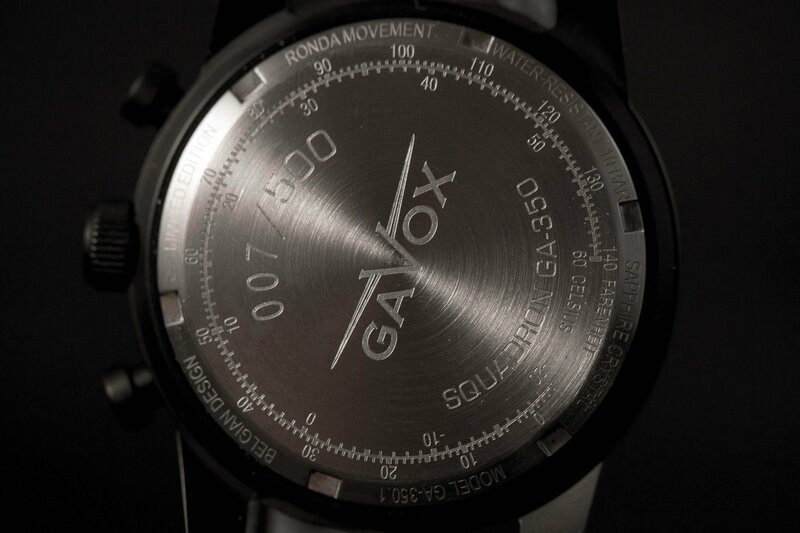 This model (Ø 41 x 51.3 x 12 mm) uses a movement from the Swiss company Ronda. The function of this Squadron Model makes it feel like a Swiss Knife, Hour, Minutes, Second, 12H chronographe, 12H Alarm, luminescent on markings and hands thanks to the superluminova treatment. 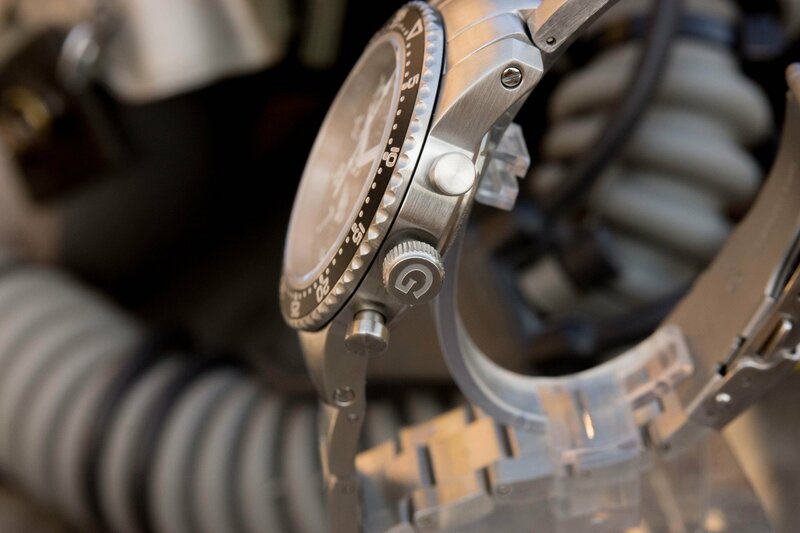 The watch is equipped with Sapphire crystal and anti-reflection coating for optimal readability. The case is water resistant to 10 bar, has a 120 step unidirectional Bezel, a surgical-grade 316L Stainless Steel case and Band. This model (Ø 41 x 51.3 x 12 mm) uses a movement from the Swiss company Ronda. 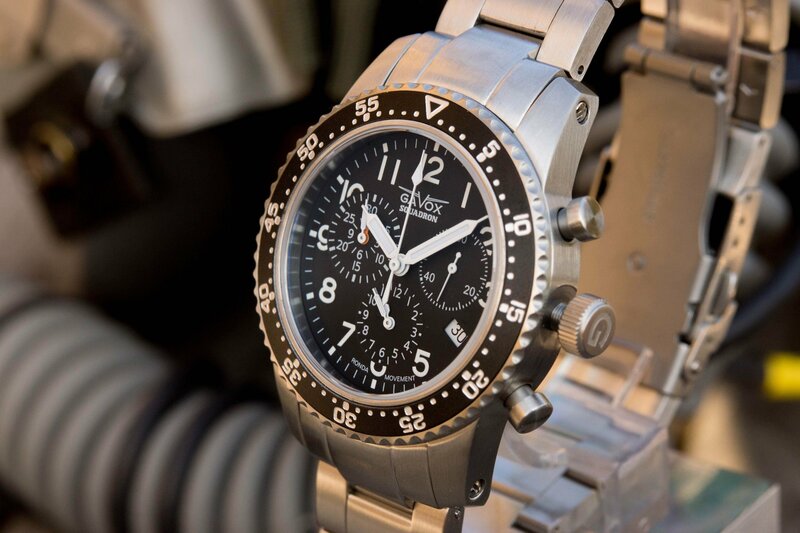 The function of this Squadron Model makes it feel like a Swiss Knife, Hour, Minutes, Second, 12H chonographe, 12H Alarm, luminescent on markings and hands thanks to the superluminova treatment. 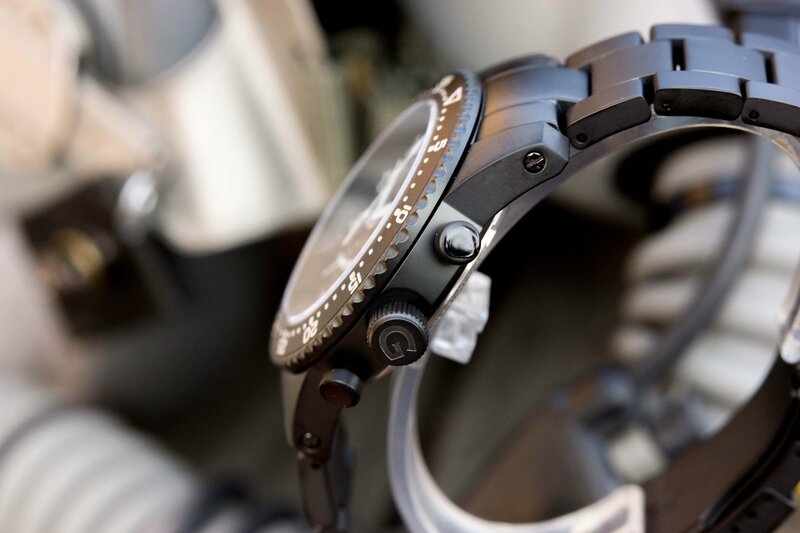 The watch is equipped with Sapphire crystal and anti-reflection coating for optimal readability. The case is water resistant to 10 bar, has a 120 step unidirectional Bezel, a surgical-grade 316L Stainless Steel case and Band. The Black PVD version has received a full PVD treatment on all parts (case and band) before being assembled.